Japanese people eat French cuisine, Chinese diners eat Japanese. We have created a range of new utensils that meets the needs of the modern age. We hope that diners all over the world using chopsticks and spoons will be able to fully appreciate the taste of their food regardless of where they are based and what regional cuisine they are eating. What’s more it is our hope that our customers, using our chopsticks, will sense a deep connection with Marunao the moment the food touches their lips. Without carpenters and blacksmiths not a single tool could be made. 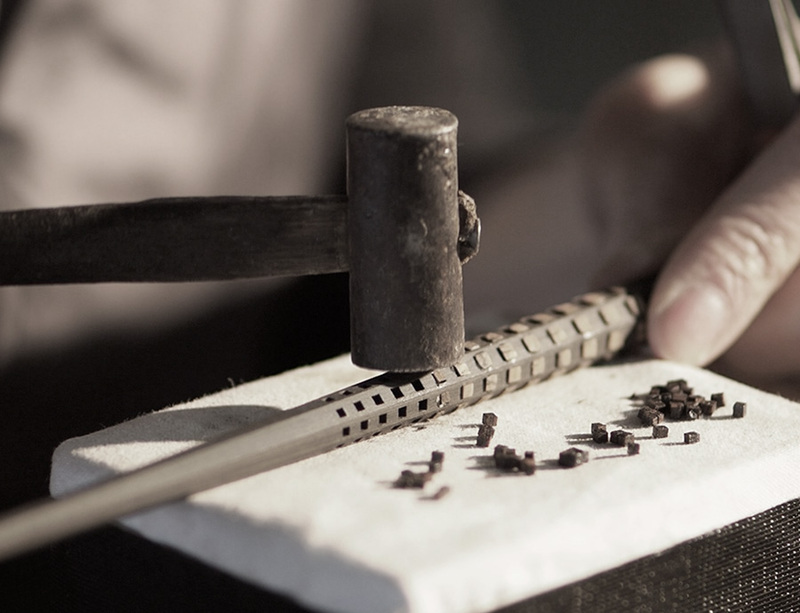 Alongside the ‘nomi’ and ‘kanna’, a traditional Japanese sculpting tool and the hand plane, the ‘sumitsubo’, or ink-pot is one of the three sacred tools of the master carpenter. The beginnings of Marunao as a company lie in the manufacture of pull-along ink-pots on wheels, considered an indispensable element for carpenters when building a Japanese house. 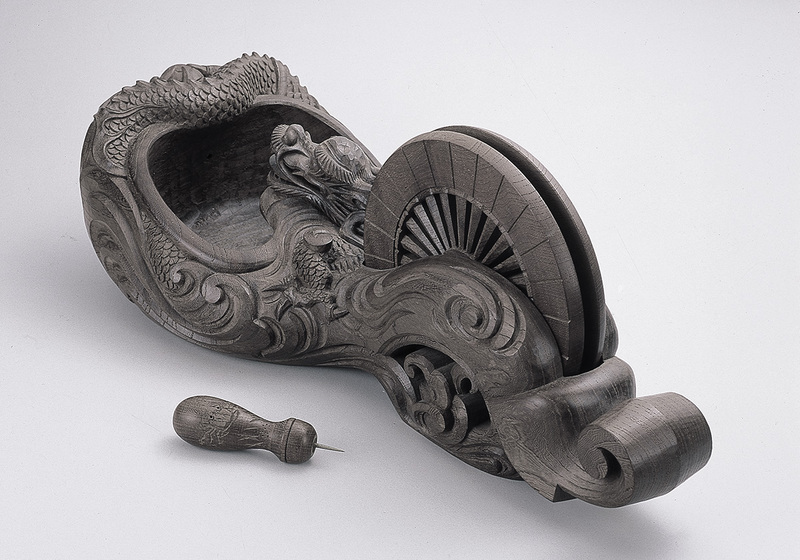 At that time, all pull-along ink-pots were made by openwork, a method of hand sculpting using the nomi tool. The first generation of Marunao’s founding family, Naoyoshi Fukuda, was able to procure a pedal operated fret saw from Kanazawa. Through the motorisation of this machine, huge leaps were made in terms of moving into mass production. The year was 1939. The manufacture of these pull-along ink-pots using traditional sculpting techniques make up an essential part of the company’s make-up, and can be considered the first steps of Marunao, made as they were in the city of Sanjo in Niigata prefecture. After that, the company continued to make other classical Japanese instruments and hand tools such as bobbins, karuko (traditional Japanese string lines) and awls. By the time the second generation of the founding family was in charge the company had moved into producing products using plastic. For the next 80 years Marunao continued to produce carpentry tools. However, due to declining demand for new buildings as well as changes in building techniques finding alternative sources of generating income became inescapable. In 2003, under the guidance of the third generation of the Fukuda family, the company moved into the manufacture of chopsticks. In making these utensils the craftsmen were able to draw on their rich experience of working with ebony and shitan using traditional finishing techniques. Marunao finalized chopsticks, which were highly functional, carefully crafted with exquisite attention to every detail, from the tips of the chopsticks to their octagonal shape, whilst always bearing in mind the dining experience of the user. Tsubame-Sanjo, land of rich, fertile earth and home to precision metalworking. Our homeland is one where man and nature live and work in harmony. Marunao started life at the very heart of the city. a spirit which is in the very DNA of the products we create. In 2014, we opened our headquarters in the Yada district of Sanjo city as a combined factory and retail shop. Overlooking Mount Yahiko, the hills of the Echigo Plain roll out before the eyes, enabling one to experience first-hand the passing of the four seasons. 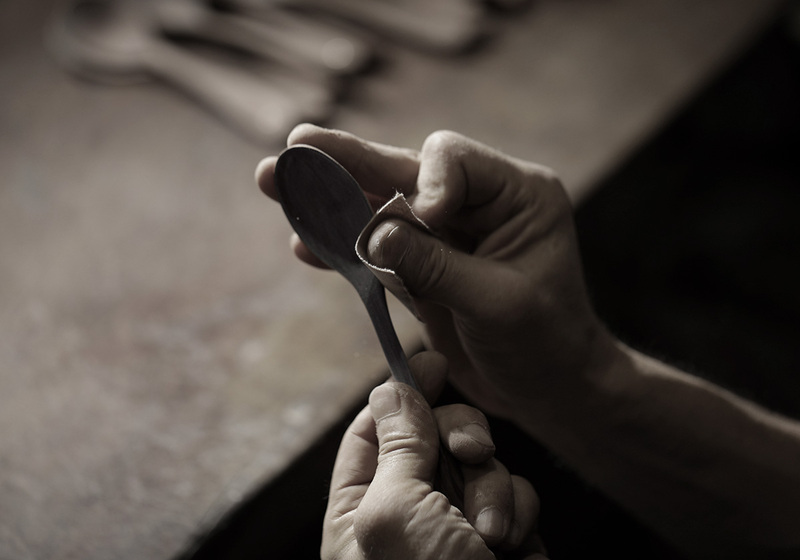 Nestled deep within the forest, the factory lends a sense of permanence to the art of making. It is for this reason we chose this particular site. 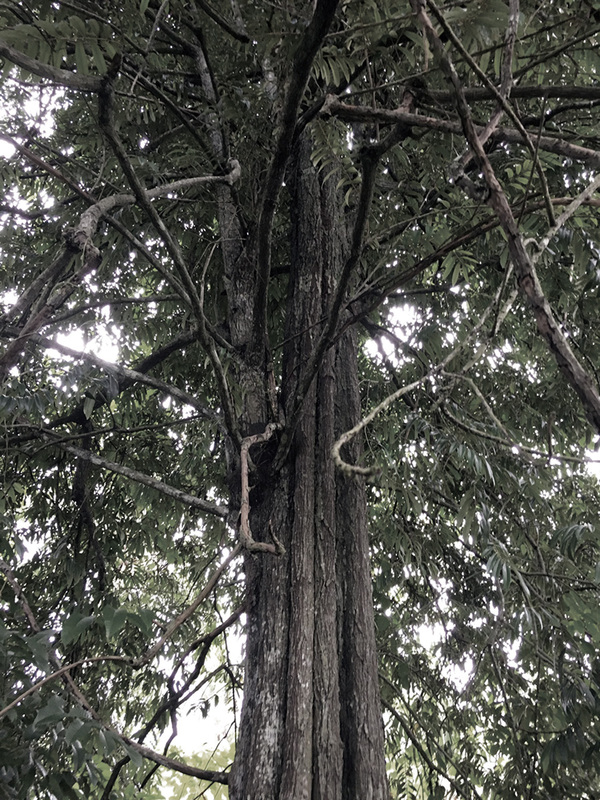 These trees have lived in the Tropics for several hundreds of years. 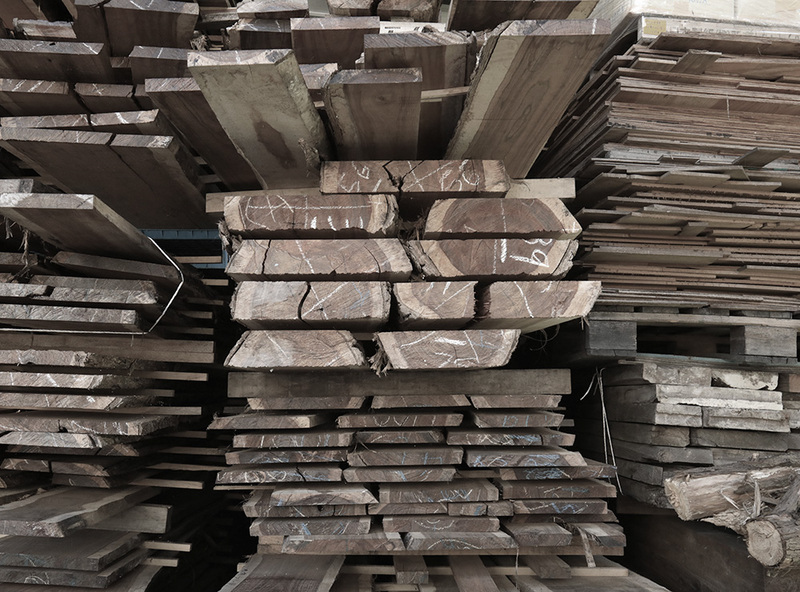 Preserving the individual characteristics of that wood, maintaining as many of its charms as possible, we seek to incorporate it into our daily lives. 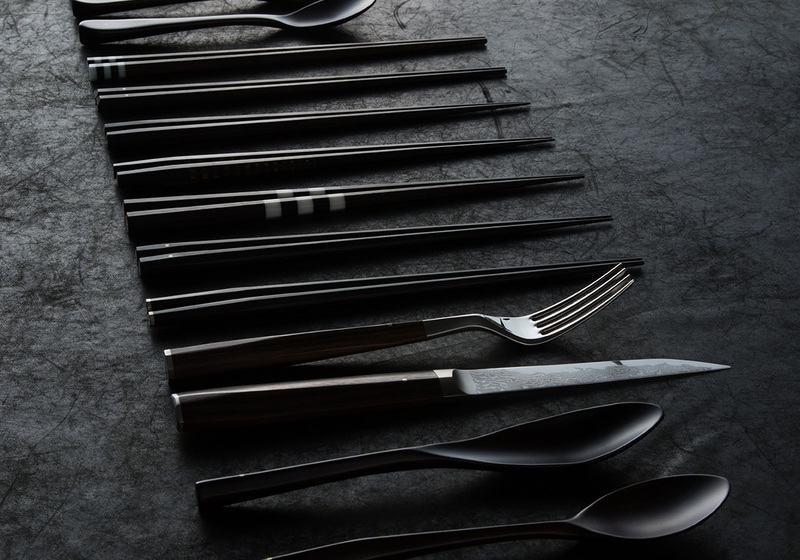 Here at Marunao we scoured the world for the best material to make spoons and chopsticks, finally settling on ebony, a hardwood with a high degree of specific gravity. During the selection process we take great care to find out which island and which region the wood came from. The same species of tree will yield different wood depending on the conditions of the soil and the climate. within the central duct the wood is left to dry naturally over time. This is the period at which it transforms from simply ‘wood’ to ‘material’. It is then repeatedly sanded and smoothed to remove any snags or warps. In this way we avoid wasting a single piece of the precious material. To complement the wood we also use artificial marble, impregnated wood, 18 carat gold and sterling silver. 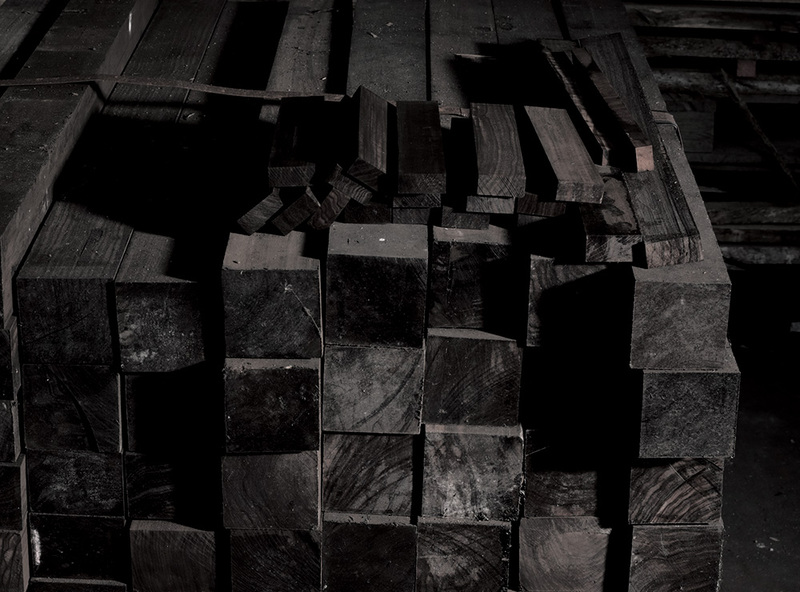 The different materials are combined with the wood in such a way as to give the impression that they have always co-existed as a single entity. At Marunao we live and breathe the philosophy of making materials. ‘Shaa, shaa, shaa’ – the constant sound in our factory, that of wood being whittled. With patience, love and dexterity the tips of the chopsticks are smoothed down to an octagonal shape of 1.5mm. This painstaking polishing is undertaken in order to achieve the very best feel for the user, and it is the patience and dexterity that goes into making our products that forms our most compelling appeal. We are deeply conscious that the products we make are intended to be touched by hand, and will be used within the mouth. As such we have created a range of spoons and cups of a quality and calibre hitherto unknown. 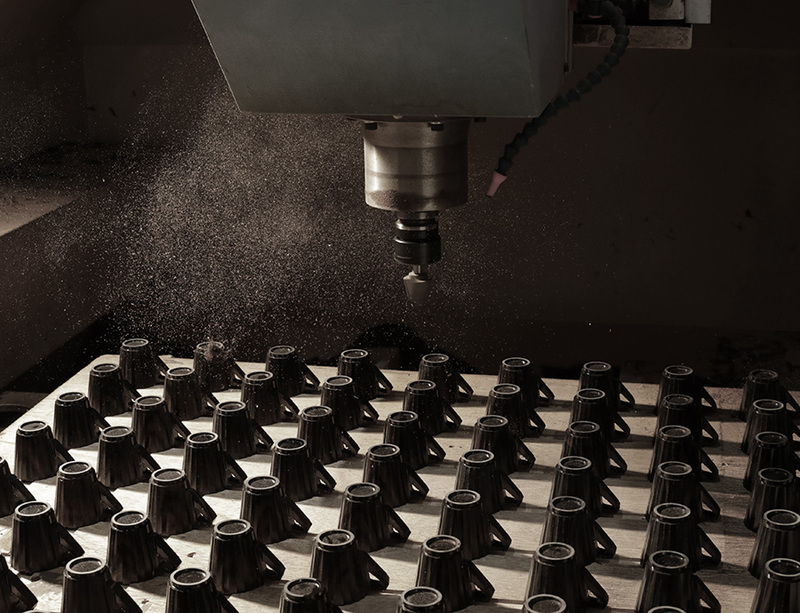 Through the fusion of finishing made possible by the use of high precision machinery and traditional hand techniques we have been able to engender a truly original range of products. With our routes in traditional sculpting and making full use of the expert skills of our master craftsmen, it is our pleasure to introduce a range of high precision and very beautiful products to the world. Following in the trajectory of our predecessors, we will continue to create beautiful tools that combine tradition and innovation in perfect harmony.